These ceramic tiles provide a safe mosaic project environment in the classroom. They have rounded edges and no sharp corners. 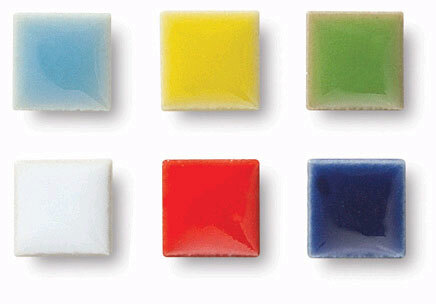 Glazed tiles are ready to use for any mosaic project. Square tiles are 3/8" (10 mm). The 5 lb Mixed Shapes pack has an assortment of rectangles, leaves, pebbles, flowers, hearts, circles, and squares in a variety of colors.